DOTween Pro is an extension for DOTween, which includes new visual editor and scripting features, and which requires a special license and a small one-time fee. DOTween Animation Component. 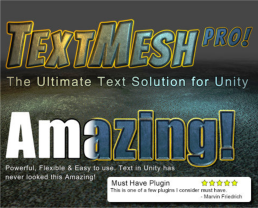 Can animate UI 4.6 Text/Image objects, Materials, Transforms, 2D Toolkit and TextMesh Pro objects. DOTween Path Component. This is a straightforward path editor (doesn't support path scaling/rotation nor RectTransforms). If you want to work with more complex paths and more options, Simple Waypoint System (which implements DOTween) is still the most recommended choice. DOTween Visual Manager. An extra component that can be added via the Add Manager button of a DOTweenAnimation/Path editor. Allows to set additional actions to be executed when its gameObject is activated or deactivated (like Rewind, Restart, Pause, Kill, and more). 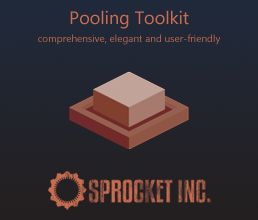 Especially useful when using DOTweenAnimations/Paths with pooling systems. IMPORTANT: If you're upgrading your project from a DOTween Pro version older than 1.0.000, follow these instructions carefully. If you already have DOTween installed, remove it or be sure to overwrite it. DOTween Pro already contains a copy of it, and otherwise you'll end up with multiple copies of the same DLLs. Import DOTween Pro (existing DOTween Pro/DemiLib files must be overwritten). Run DOTween's Setup (Tools > Demigiant > DOTween Utility Panel > Setup button). 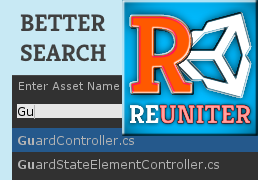 Activate/deactivate modules for Unity systems or external assets. The DOTween Animation Component offers a range of animation types. If your gameObject contains a suitable Component to be animated, it will automatically find it and allow you to tween it. It is smartly build to allow interaction with UGUI's button events, and comes with various options for looping, easing (including custom easing using AnimationCurves), custom events and more. If you're upgrading from the standard version of DOTween, delete the DOTween folder before importing DOTween Pro (DOTween Pro already contains both the standard and the pro version). After importing DOTween Pro, run DOTween's setup again (from Tools > DOTween Utility Panel) to reimport all the additional libraries available for your Unity version.